I have to admit to being slow. 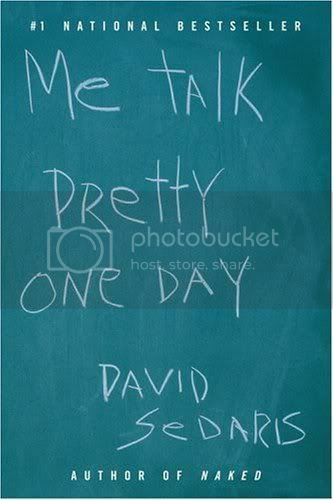 Not until 2010 did I discover David Sedaris. For someone always interested in new authors, for someone who likes the short story genre, for someone always strolling around in bookstores and websites, this certainly can be categorized as a late discovery. This book for example was published in 2000. So it took me a full decade to find out if it was worth the effort. It was. Two parts in this book. One and deux. As one can guess, the second part takes place in France, which also explains the title of the book. Sedaris is living in Paris, trying to master a new language at age 41. Not easy, especially considering the fact that there is a whole English speaking community in the French capital. Plenty of good stories in the volume, several raising smiles, others make you think. Still not convinced if Sedaris is there for eternity, if he will be considered a classic in half a century, but for now I am glad I have discovered a good author and plenty of books left in his oeuvre to read in the coming years.